Every month, AMT-Lab publishes a collection of exciting news in the field of arts management and technology. Check out the links below to find out what moved the arts and technology world in October 2013. 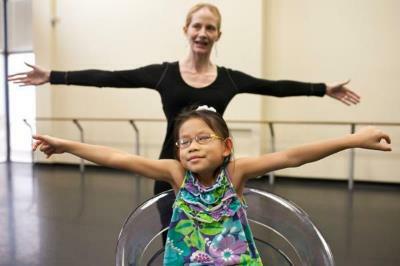 Merry Lynn Morris, a dance professor at the University of South Florida, invented the Rolling Dance Chair. After 7 years and $150,000 grant money, she presents a device to help kids overcome disabilities that prevent them from freely moving their bodies. Launched in October 2012, Artsy is a start up that catalogues art in an online depository and helps users to discover and purchase art online. Recently Artsy launched its new, free app for iPhone and iPad touch. It contains over 50,000 high-resolution images of artworks from more than 600 museums, galleries, art fairs, and foundations. The LA Phil launched the new online tool “Concert Master,” which suggests upcoming performances to best suit users’ musical taste, based on responses to a short survey. Emerging technologies continuously change the field of arts marketing, including what current and prospective audiences expect of arts organizations. In this piece, Amelia Northrup-Simpson discusses four expectations that many patrons have today regarding mobile technology, social media, online sales, and customer service. After a three years beta-phase, Fractured Atlas unveiled its online platform, Artful.ly. Fractured Atlas developed this web-based software system in collaboration with hundreds of performing arts groups nationwide, providing small- and mid-size arts organizations with an affordable, easy-to-use alternative that transforms how they sell tickets, raise funds, and grow their audiences. What do you do when a piece of digital art worth over a million dollars and reliant on obsolete technology and old codes breaks down? As contemporary technology evolves increasingly faster, it shortens the potential lifespan of digital art, raising the question of how to conserve digital art in the long run. The ZKM Centre for Art and Media in Karlsruhe Germany, which houses the world’s largest collection of digital art, grapples with that question here, led by principal curator Bernhard Serexhe. Last summer, the Metropolitan Museum of Art in New York created a new position: Chief Digital Officer. What are the responsibilities in this position? How do they intersect with other departments of the museum? And why does the Met actually need a chief digital officer? In this interview with the NY Times. Sree Sreenivasan, the Met’s first CDO, discusses the responsibilities of the position, how the role interacts with other museum departments, and the importance of technology for the Met today. 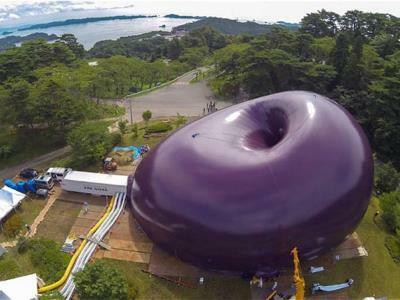 British sculptor Anish Kapoor and Japanese architect Arata Isozaki created the world’s first inflatable building in 2011, “Ark Nova.” It has been in work since 2011 in large areas of Japan’s tsunami devastated Northeastern coast. Made up of a balloon-like material, the mobile concert hall accommodates up to 500 people and can easily be packed up and transported to another location.